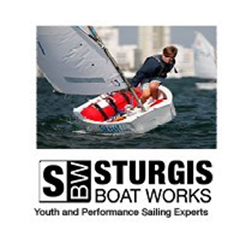 Since its inception in 1987, Courageous Sailing has been dedicated to its mission of transforming lives through sailing programs that inspire learning, personal growth, and leadership. 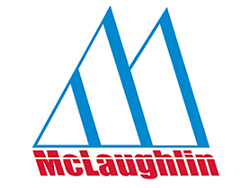 Courageous was established by Boston sailing enthusiast Harry McDonough, who envisioned the sport of sailing as a way of fostering unity and life skills in children of all economic and ethnic backgrounds. In the midst of the Boston school busing crisis, Harry and his friends started bringing together children from Dorchester, Charlestown, and other Boston neighborhoods and teaching them to sail on the America’s Cup winner “Courageous,” docked in the Charlestown Navy Yard. Since then, Courageous has traded in the racing yacht for a fleet that now numbers well over 70 boats, and expanded to several sites. The organization has 6-8 full time, year round employees, with 130 seasonal full-time/part time, along with around 80 volunteers that make everything possible. 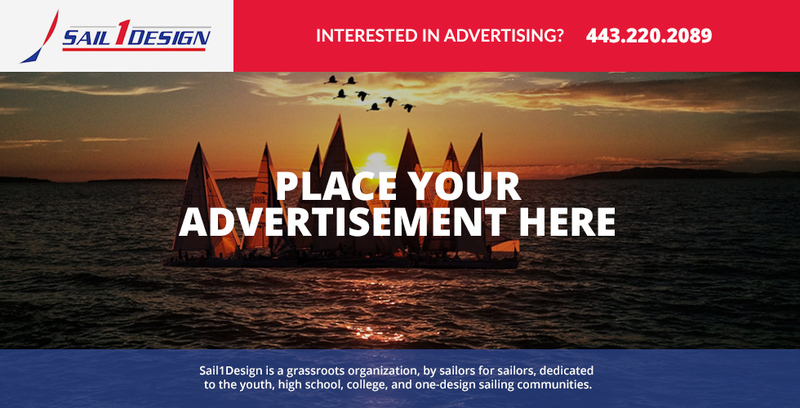 Courageous Sailing has a few locations, can you tell us about the locations and what they offer to the community along with what type of boats are used? While we offer lessons and memberships for adults, sailing for those with special needs, corporate team building activities, and pier rentals, our main focus is our youth program, which uses sailing and the marine environment as platforms for social-emotional growth. Our youth programs are free of charge to those in need, and serve over 1,000 children annually at four locations: Charlestown, Jamaica Pond, Camp Harbor View on Long Island, and the University of Massachusetts in Dorchester. In Charlestown the fleet is made up of 28 Rhodes 19s, 4 J22’s, 3 J80s, 5 30-34’ cruisers, 8 quests, 8 420’s, and 12 Lasers. How does the organization contact youth in the communities? Do team members do school visits to raise interest? We invest a great deal in outreach and have developed strong relationships with local families, schools and other youth programs. 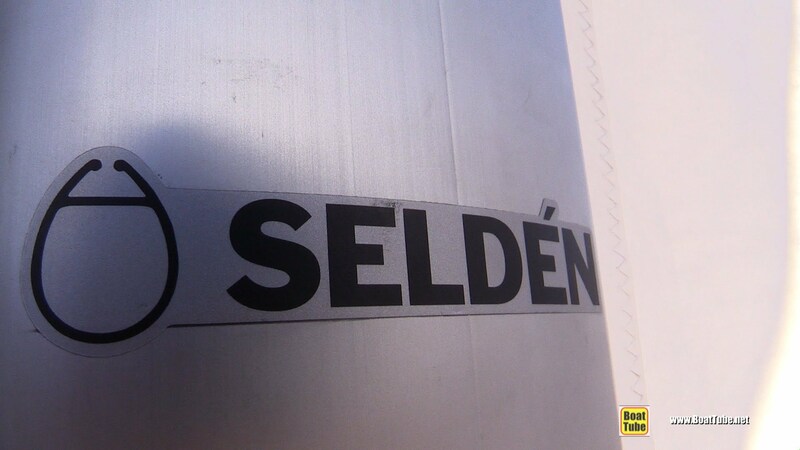 That said, demand for our programs is typically higher than our capacity, so we run a lottery as part of our registration process in order to fill available spots as fairly as possible. Tell us about the Swim, Sail, Science course and how it has been so important? 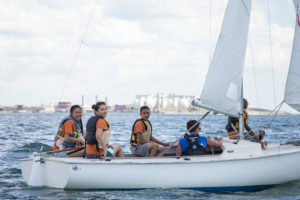 Swim Sail Science (SSS), the cornerstone of Courageous’s Reach Initiative to engage marginalized youth, is an intensive 5-week summer program that combines sailing and swimming lessons with academics. 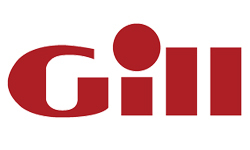 This free 2-year program, which serves approximately 60 rising 4th and 5th grade Boston Public School students each summer, features an interconnected, fun blend of activities and a deliberate focus on community building, reflection, and character development. Students spend each day learning how to sail 18-foot keelboats with two peers and an instructor, mastering swimming skills, participating in mindfulness and team-building activities, exploring Boston Harbor, investigating our lobster traps, and engaging in approximately 3 hours of hands-on language arts, math, and science lessons, taught by Boston Public School teachers. Our integrated, multidisciplinary curriculum—centered around the theme of environmental studies—highlights the connections between what students are experiencing in the classroom, on the water, and in their everyday lives. There is a critical need for high-quality programs that are accessible, affordable, and able to support the social-emotional and academic growth of disadvantaged young people in Boston, especially during the summer. Summer learning loss due to unequal access to high-quality summer learning opportunities during the elementary school years is widely accepted as a leading contributor to the achievement gap between low-income youth and their more affluent peers. Courageous launched the Reach Initiative in 2012 to address this need and the numerous structural barriers–such as cost, transportation issues, uneasiness around water-based activities, and the need for free meals–that have historically limited marginalized youth from participating in our summer learning programs. Swim Sail Science includes bus transportation, full-day care, free meals, and school-year sailing and swimming lessons. Swim Sail Science, serves 60 rising 4th and 5th grade Boston Public School students who are most vulnerable to the cumulative effects of summer learning loss, including those whose learning needs are not best served in a traditional classroom setting. Two-thirds of 2018 SSS students live in households that earned less than $25,000 (90% earned below $50,000), and 87% identified as members of ethnic minority groups. What is the Steps to Lead program? 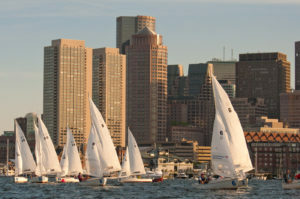 Steps To Lead, Courageous’s summer sailing school, teaches sailing and more to approximately 400 children from the greater Boston area each year. 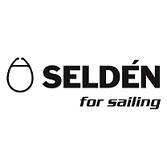 Steps To Lead is built on a six-“Step” curriculum that takes young sailors (aged 8-18) from novice to expert over the course of seven summers. Each Step includes sailing instruction, hands-on science classes on subjects ranging from the ecology of Boston Harbor to the physics of sailing, exploration of the Boston Harbor islands, and a deliberate focus on social-emotional growth and community building. As they move up through the Steps, students gain independence, progressing from sailing stable keelboats with two peers and one instructor aboard to taking charge of a boat and developing more advanced skills, like dinghy racing, navigation, and sailing cruisers and sportboats. Sailors eventually earn the opportunity to become paid Instructors-in-Training. Feedback from parents, children, and observers makes it clear that Steps To Lead is effective in nurturing stewardship of the marine environment and helping students build confidence, teamwork, critical thinking, leadership, and other life skills. Steps to Lead is our largest program and teaches sailing, hands-on science, and an appreciation of the natural world while fostering the confidence, perseverance, teamwork, and transferable job skills necessary for success on the water, in college, and in the workforce. In 2012, we launched the Reach Initiative to reduce the barriers that have traditionally prevented marginalized youth from joining our sailing programs. In 2013, Courageous became involved in Boston’s Summer Learning Project (now known as the 5th Quarter Initiative Summer Learning Academies), participating in a nationwide pilot program and study dedicated to mitigating summer learning loss among low-income students of color; our Reach Initiative summer program is now an exemplar site of this collaborative. 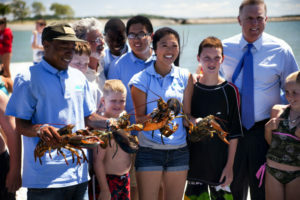 Years of evaluation have confirmed that Courageous programs are effective in empowering youth to strengthen leadership and other crucial life skills, become confident sailors and swimmers, develop a sense of environmental stewardship, and—in the case of our Reach Initiative summer program—become more engaged in learning and improve academically. We are committed to providing youth with a supportive community that will play a transformative role in their lives. 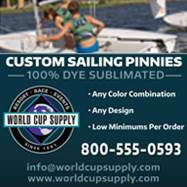 Young sailors remain involved with Courageous over the course of years, starting as novices at the age of 8, building competence and independence as they progress through six “Steps,” and eventually becoming paid Instructors-in-Training and instructors themselves a decade later. What are the benefits of becoming a member of Courageous Sailing? 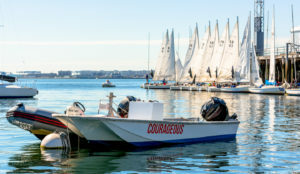 In addition to providing programming for youth throughout Boston, Courageous is also furthering it’s mission by offering programming, membership, racing, and sailing experiences for adults and their families. Similar to the tiered foundational learning offered in our youth program, adults can enter programming/join our membership on a variety of levels. 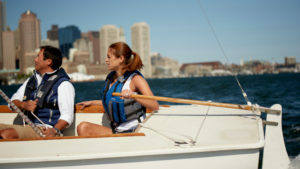 Our programming begins at the experience level where participants join us for a 2-hour sail on Boston Harbor. Our learn to sail curriculum follows the US Sailing Basic Keelboat model and progresses students to a beginner level over 2 weekends (48 hours). Our Basic cruising program provides the “next step” for sailors looking to grow their skills on larger vessels and provides a foundation for sailors looking to graduate to the “Bareboat” level with hopes of chartering vessels throughout the world. Our membership program is host to a majority of our course graduates. Membership levels reflect a parallel structure to our courses providing an easy to follow road map for those that are just starting out. Basic Keelboat graduates typically start off as R19’s members and grow their skills over time. 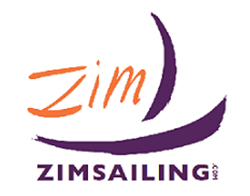 Many of our Basic Cruising/Bareboat grauduates join our community as “cruising members”. They use our modest fleet of 5 30-34’ cruisers to gain practical experience on the water, and many prefer membership at Courageous to boat ownership. Our season begins on May 1 and ends October 31 each year. 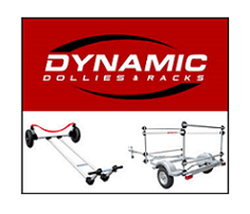 During this time Courageous members enjoy access to our fleet, member BBQ’s, moonlight sails, camping trips, and racing. For some, racing is at the heart of their experience here at Courageous, for others, racing is a new and exciting way to meet other members and practice their boat handling while broadening their view of what sailing can offer. In the Spring and Summer we offer 2 race series, Tuesday night is our advanced racing night, hosting 15-20 on the starting line. 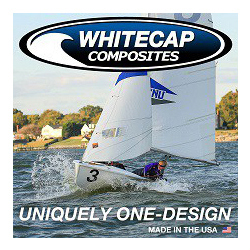 Like many racing series in the area, Tuesday nights are a competitive and fun way to get out on the water. Thursday is our beginner night and is structured as a drop-in series. New and seasoned sailors are paired together and begin the night with a chalk-talk focused on a specific racing rule. Many sailors develop a love for racing on Thursday nights and eventually graduate to our Tuesday night group. Our most seasoned and intrepid racers often use Tuesdays to stay sharp for their favorite racing of the season– frostbiting. Beginning on November 1 and running through March, our Frostbiting series is host to our most competitive racing of the year and the largest frostbiting fleet in the Boston area. 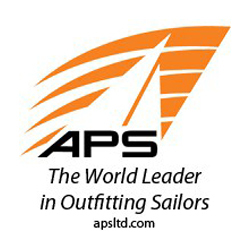 How does Courageous work with adaptive sailors? We are committed to making the benefits of sailing accessible to all. Twice per year, over 100 people participate in our Charlestown Adaptive Sailing Days, free opportunities for people living with any kind of disability to sail on Boston Harbor with a Courageous instructor and their families ad friends. Courageous also hosts recreational sailing and race practice for blind sailors and Special Olympics participants. We offer steeply discounted private lessons for those with special needs and strive to be as inclusive as possible in our adult and youth courses. Where does the funding come from to keep the lights on at Courageous Sailing? 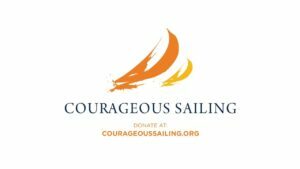 With support from individuals, foundations, corporate sponsors, and earned revenue, Courageous has become a nationally recognized, year-round educational center for community sailing and youth development. In 2011 we were honored to be named one of the top 10 community sailing programs in the country by both US Sailing and Sail Magazine. What goals does the organization have moving forward in the next few years? Among our top goals is always to add capacity (boats and instructors) in order to turn away fewer students and reduce the size of our waitlist. This is hardest in Charlestown, where we’re just about out of room for new boats, but we have a great opportunity to expand the size of the fleet at UMass in Dorchester and at Jamaica Pond. The facilities at UMass are ready and waiting for us to do more there, and the city is expanding the dock in JP which will allow for more boats and more programming. That said, our biggest need in Charlestown is indoor space for classrooms and facilities to support a program as big as Courageous. We have a big poster on the side of our current boathouse that shows our vision for the Courageous boathouse of the future – within the next few years we’re hoping to be closer to making that a reality. If Courageous could have any three things, what would they be? 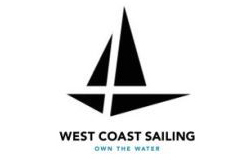 First and foremost, we need more amazing staff and instructors – with a program as big as ours, we’re always looking for great sailing instructors who connect with our mission. More space! Oh, what we could do with more roof over our heads from time to time. More boats! Over the next few years we’re hoping to add RS Ventures and more RS Quests at UMass and JP; and to replace our 420s and add a few more J80s in Charlestown. “I started working at Courageous as a summer job more than fifteen years ago. It was, without a doubt, the best job I had ever had at that point. The days were full of cruising, racing, swimming, water balloon fights and the like. Friendships were made that still last to this day. Many years later, unhappy with my career at that point, I quit my job and flew to Tahiti to join my dad on the 2nd half of the Pacific Puddle Jump. It was a transformative experience and it made me realize how important sailing was to me and my family. When I returned from that trip, I realized there was no other place for me to be but Courageous Sailing. I have used my experience cruising in the Pacific to help teach our cruising classes. Now I get to help people realize lifelong dreams of chartering or owning a boat.